If you’re looking to get divorced in the state of Florida, it’s important to familiarize yourself with the legal requirements. Filing for divorce is easier in Florida versus some other states, which can help speed the entire process along. While it’s a fairly straightforward process, retaining a skilled Florida family law attorney is always in your best interest. In order to file for divorce in Florida, Florida Law §61.021 sets forth the requirement that one or both spouses must have resided in the state for at least six months prior to the filing date. You must prove that you meet the residency requirement before the divorce can actually proceed. Some ways that you can prove residency is showing home ownership or a lease/rental agreement, maintaining a driver’s license in Florida, and filing taxes, maintaining permanent employment, etc. Proving residency essentially gives the court jurisdiction over your divorce, meaning they have the ability to enter a valid judgment. The reason it can be relatively simple to file a divorce in Florida is because it is a no-fault divorce state. This means you don’t have to show a valid legal reason for why you want to get divorced. In some states, you need to prove your situation falls under the guidelines for legal dissolution, like one spouse cheating on the other. In Florida, couples can cite “irreconcilable differences” and say the marriage is beyond repair. If one party denies that the marriage is not irreparable, the judge may order that the couple seek guidance from a marriage counselor, psychologist, or rabbi or priest for several months. Essentially, the divorce begins with one party filing a “Petition for Dissolution of Marriage” in the appropriate circuit court’s Family Department. The other spouse is served with the petition and given a set legal amount of time to respond. In cases where both parties can actually agree on the division of assets, child custody, alimony, etc., then the court will finalize the divorce without a trial. Once the hearing date is set, the attorneys for both sides start putting together a list of marital assets, which include tangible items, real estate holdings, and retirement and other bank accounts. Typically, judges divide marital assets equally, unless there is a need for them to be split in a different fashion. For example, one spouse may want to remain in the marital home with the children, so he or she may be awarded an unequal distribution of assets. The courts will also look at other important factors like alimony and child support. They look at the standard of living during the marriage, how long you were married, and other factors related to your health and physical condition. If you make a child custody agreement, the court will make a ruling on parenting that is in the best interest of the child/children. The courts look at both parents’ income and make a ruling on child support, too. 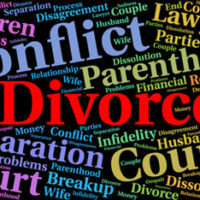 There are a lot of factors that go into finalizing a divorce, or dissolution of marriage Florida. Couples need to figure out marital debts alongside dividing up marital assets. There are also tax implications in a divorce, which is where a skilled Boca Raton divorce attorney comes in. Let the team at the Law Offices of Schwartz | White handle your dissolution of marriage in Florida. Contact our office at 561-391-9943 for a confidential consultation.